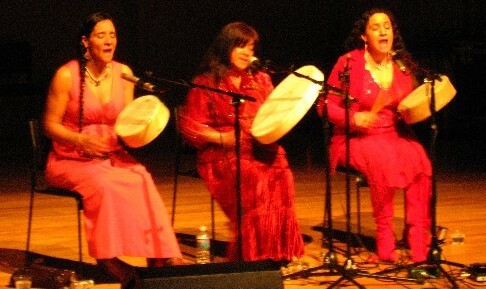 Check Out Tufts University’s Spring Line-Up of World Music Entertainment … Just for You … Absolutely Free!!! Come one, come all to the Granoff Music Center on the campus of Tufts University to enjoy one of the absolute best world music entertainment bargains around. Ah yes…freebies. And who doesn’t love those! Most of the events at the Granoff Center are free, although they do charge admission in some cases as there is a box office located within the facility. 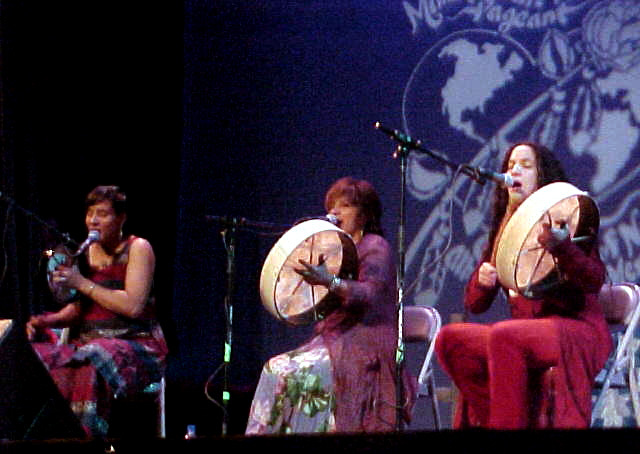 While perusing their Winter/Spring event calendar, I located no less than 11 world music events taking place, some involving the added bonus of an accompanying lecture or reception, and all of them open to the public at absolutely no charge. (an exception to this rule, of course, was a Haitian benefit concert) So, go ahead and take a look for yourself to see what Tufts has to offer, in this truly economical fashion. I’m sure you will agree with me that it is quite a bit indeed! I urge you to keep abreast of all the happenings at the Granoff Music Center so that you can continue to enjoy high-class world music entertainment at an “economy-class” fee. Join vocalist Annie Royer and her band Les Garcons Musette to celebrate the release of their new cd, “Sous le Ciel de Paris” (Under Paris Skies). Royer’s performance repertoire includes cabaret songs (many of which were regularly performed by the great Edith Piaf), popular French standards, and Broadway show tunes. Throw a little jazz styling into the mix and you have a singer who delivers these old and familiar, yet well-loved, songs to her audiences in creative and innovative fresh new ways. She’ll even take requests, if you have something your just dying to hear ala Royer style. Born in Paris and a resident of Boston for 10 years, Ms. Royer currently resides in Palm Beach, Fla., and performs extensively both here in the US and over-seas as well. She is accompanied by her band of accomplished and well-known artists who always back her in grand style, so this show promises to be a sure hit. Watch the Wolf Totem dance. 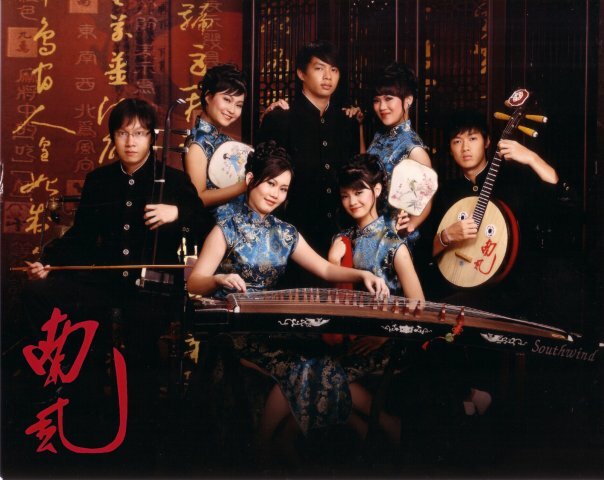 The Tsinghua Art Troupe will give their rendition of it during the show! The highly distinguished Tsinghua University of China is so honored to be commemorating their 100th anniversary that they are sharing the grand celebration with the rest of the world by sponsoring a tour of their resident performing artists. Fortunately for us, Boston is one of the stops on this special celebratory journey! 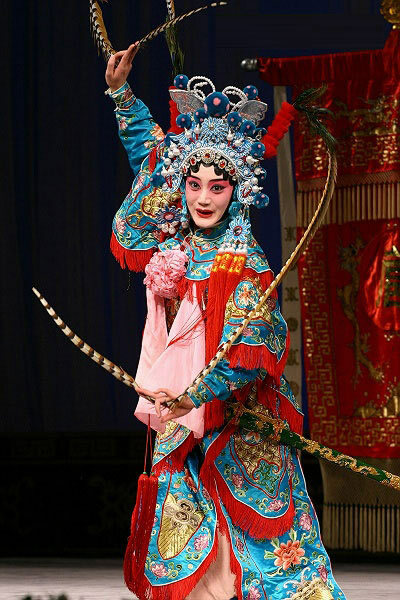 Founded in 1958 with the aim of promoting the Chinese traditional arts, the award-winning Tsinghua Art Troupe is comprised of some 1,000 plus faculty members and students who perform in several individual specialized music and dance ensembles. What they are bringing us is a small cross-section of the whole, 60 faculty members and 45 students to be exact, which is representative of the variety of performing art forms which make up the structure of this huge multi-faceted organization. The show, appropriately entitled “Tsinghua Dream Flying Abroad”, will include Chinese folk art presentations in the form of various instrumental, choral and dance ensembles, appearing either separately or together on stage. There’s even a selection from the Peking Opera to make things all the more interesting. This show, in all its diversity, is not only entertaining but educational as well, as the audience is presented with a true survey of the Chinese traditional performing arts all within a single performance. The cds in this order contain Latin chart hits and music collections. Click on the links below to hear excerpts from them. I just want to mention that I have had also ordered some items of this genre for the holiday season, though they are not listed here As this is just a sampling of what we have to offer, come on in to the main library at Copley Square or any one of our branches conveniently located throughout the city of Boston and “check out” more of our fabulous world music collection. For your additional convenience, you can reserve copies online via our library catalog and you will be notified when the item is in and ready to be picked-up. Now in its 24th year, this year the Berklee College of Music’s International Folk Music Festival will feature student and faculty performers from all corners of the globe including the Bahamas, Brazil, Bulgaria, Columbia, the Czech Republic, France, India, Italy, Mexico, Russia, and the United States. The audience will experience world culture in the form of costumes, ethnic instruments, and , of course, music of diverse genres in many styles which, by the way, promises to be both emotionally and physically invigorating to its listener’s. This event is in effect a celebration of the highly international character of Berklee’s student and faculty population. About a quarter of the student body is from other countries! During the evening, there will also be honors bestowed upon two of the local community’s top international music ambassadors. Violinist Simon Shaheen, originally of Palestine, and musician/composer, Joosek Kim of the republic of South Korea will be recognized this year for their immense efforts in supporting those students who have come to Berklee from other parts of the world in order to advance their music studies. Come on out and support our next generation of world music artists. When: March 25th – Thursday @ 8:15 p.m. 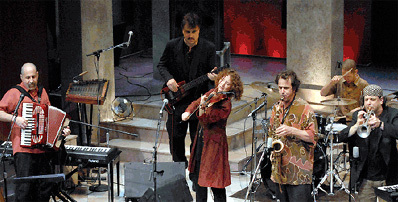 Looking for Klezmer music entertainment in the Boston area? 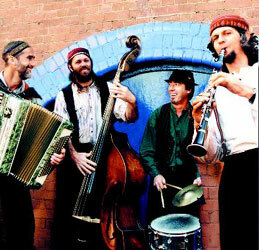 Then pay a visit to the KlezmerShack and check out their nifty KlezCalendar. Although this web site itself is not tailored exclusively to the Boston area by any means, the author is local and there is definitely a home-oriented presence here. There are plenty of relevant event listings to be found and this section is searchable by keyword, a nice little feature that makes things a whole lot easier for Boston users. There’s even a link provided for those who want to share a local event announcement of their own with the rest of us Bostonians. Of course, it was the KlezCalendar that originally got me interested in the site, but there is a whole lot more great local info to be had here, as this web site is devoted entirely to Klezmer and other Jewish music genres. The blog, which is also keyword-searchable by the way, contains additional local event listings, reviews on concerts, cds, and videos produced by artists in the area, regionally oriented podcasts, and other music news of interest. There are tons of video clips throughout, thus giving the reader ample opportunity to enjoy the sound of lots of wonderful Jewish music. All cds which have been reviewed by the author are listed in one place, so that they can be browsed more easily. There are artist’s directories included for both individuals and ensembles. The ensemble directory is additionally categorized by geographical location and there is a nice long listing provided for Massachusetts. One last section I wanted to point out here is the listing of Jewish music radio programming airing from Massachusetts. This is really helpful, as it can be very difficult indeed to isolate and locate programs of specific interest. I encourage you to go ahead and poke around this very interesting and in formative web site on your own, as I have given you just the local highlights here. Oh, and one last thing, if you have any interesting tidbits relating to Klezmer/Jewish music that you want to share with your fellow Bostonians, feel free to email the author. He points out that his visitors, most of all, love to read descriptions of local concerts and other regionally oriented music news. Got a question you want answered? Even if it’s related to the local music scene in our area only, go ahead and post it anyway on one of the mailing lists the author has provided. You just never know who might have the answer- no matter how specific it is! …And the Beat Goes On! 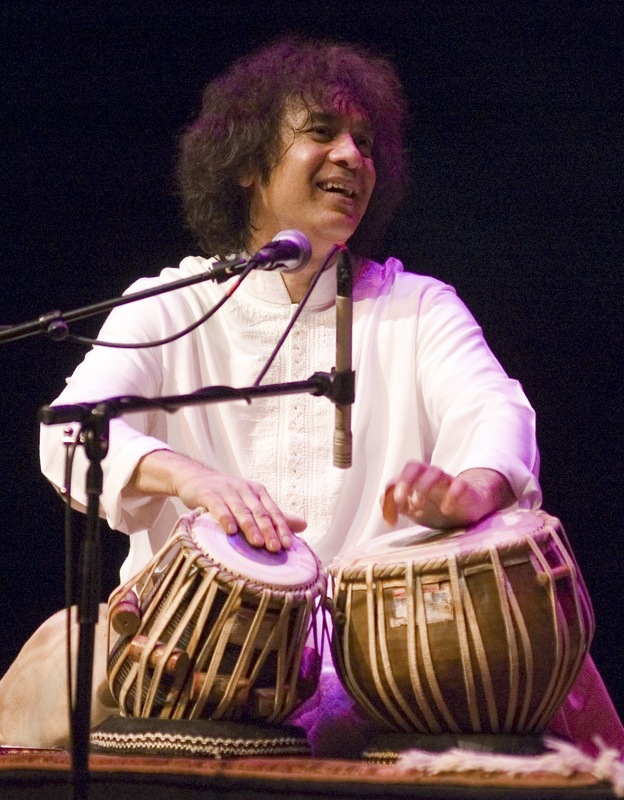 – Experience the Percussion Ensemble At Its Best with Zakir Hussain and His Masters of Percussion – Sunday, March 28th @ 7:30 p.m. Listen to clip from the show. 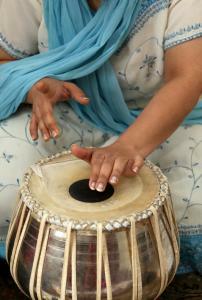 World music super-star Zakir Hussain is one of the world’s premier tabla virtuosos. He is also highly respected in the music industry at large as a musical collaborator, composer, and producer and has firmly established his influence both in the field of Indian classical and contemporary world music as a whole, a genre which he, himself, greatly developed. What makes this Boston appearance particularly noteworthy is that he will be performing with a whole cast of other highly respected Indian percussionists and other instrumental virtuosos. The line-up includes: Hussain, himself, on tabla and sitar, Sabir Khan on sarangi and lute, Ganesh & Kumaresh on violins, Taufiq Qureshi on percussion, Navin Sharma (player on the right) on dholak and two-headed folk drum, Sridhar Parthasarathy (on the left) on mridangam and barrel drum, as well as the Bengali Drummers. Zakir Hussain and His Masters of Percussion is a show that presents to us a rare opportunity indeed to hear this many great percussionists in a single concert. 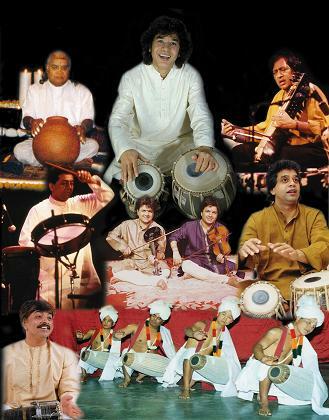 As the son of the great tabla virtuoso Ustad (Master) Alla Rakha and a child prodigy, Hussain started touring at age 12 and later moved to the United States where he has been living since 1970. His playing style has been characterized as highly reminiscent of his extensive formal training as an Indian classical musician and a phenomenal ability to perform the most amazing improvisations. As a masterful collaborator he has performed with many of the world’s most prominent musicians, as well as composed and produced with other leading names in the music industry. That’s not to downplay his solo efforts either, as he has excelled on his own as well in all of these areas. Hussain’s greatest achievements on the whole are far to numerous to mention here, but I can give you a general idea as to the extent of his musical genius. His albums have won Grammys, his dance compositions accompanied the world’s top dance companies and his film music heard at the prestigious Cannes Film Festival. He was commissioned to compose music for the 1996 Olympics in Atlanta and a song, which became wildly popular in India, to commemorate the country’s 60th year of independence. 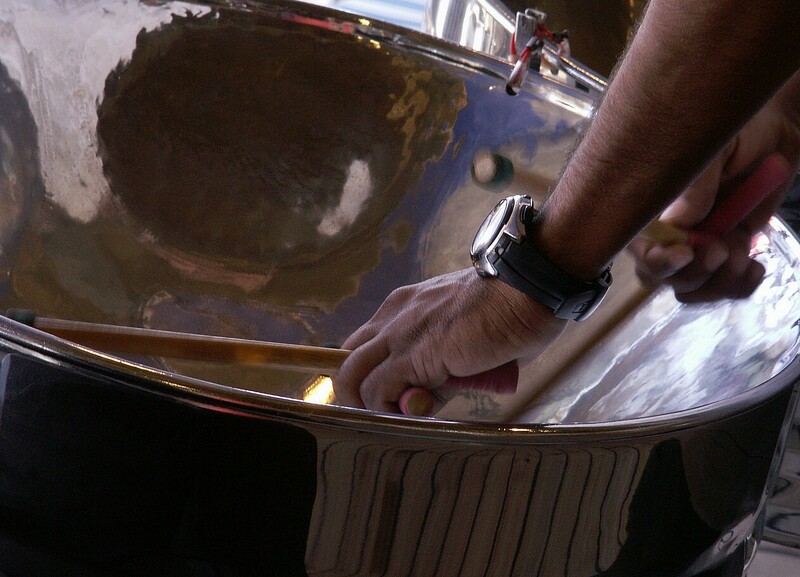 He has won numerous top awards from the Indian government and his music has been voted the best in reader’s polls within popular percussion magazines. As an educator, he has served as a guest professor at both Princeton and Stanford universities and currently owns his own record label, Moments Records, which promotes the live performances of India’s prominent classical musicians and collaborative contemporary world music projects. You can read further details of this fabulous career here. When: March 28th – Sunday @ 7:30 p.m.